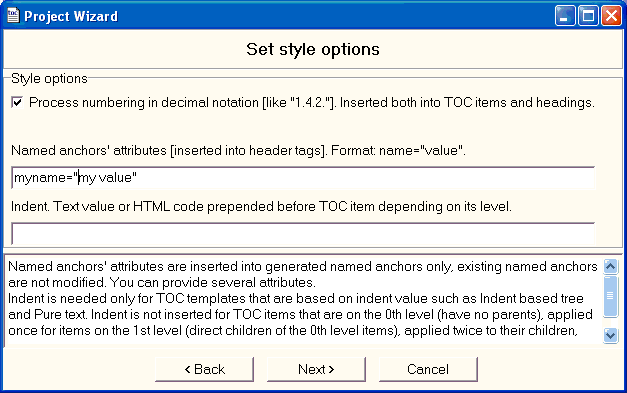 Everything is organized into projects in AHT, as it is often required to remake TOC when the contents of HTML publication changes. 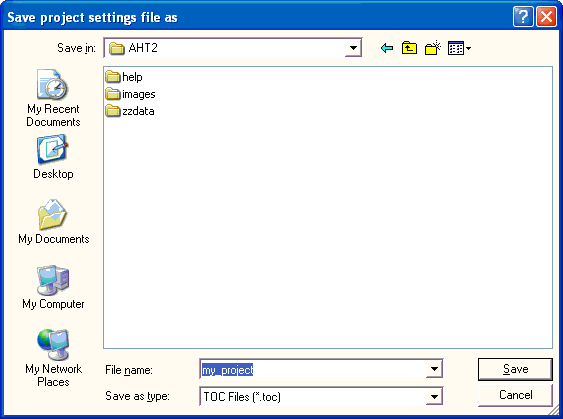 First, let's consider making a new project with the AHT Wizard. 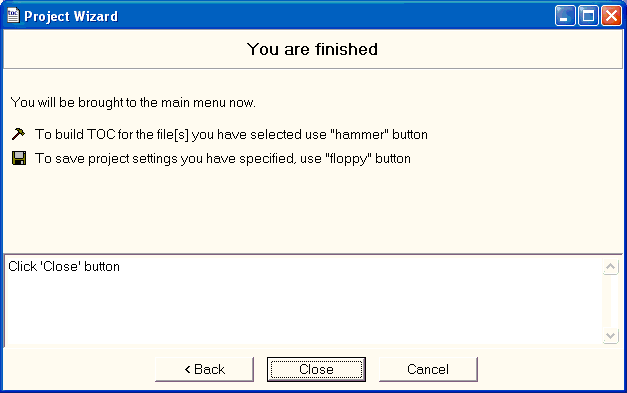 As the first step you need to select if you are making new project or using an existing one. You can make TOC for just one file or a set of files. 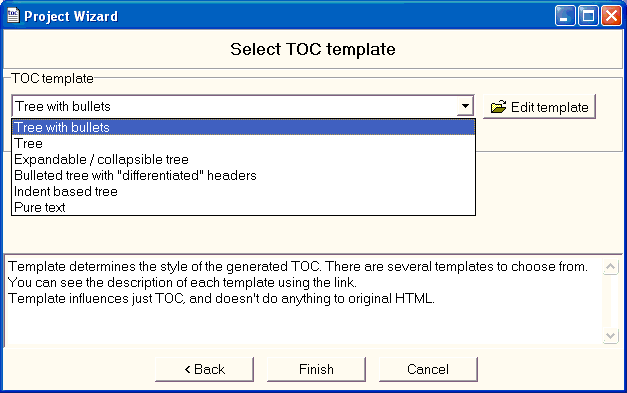 If you have selected a single file, then you need to select it (source) and if you are going to overwrite the file or create a new file with TOC. 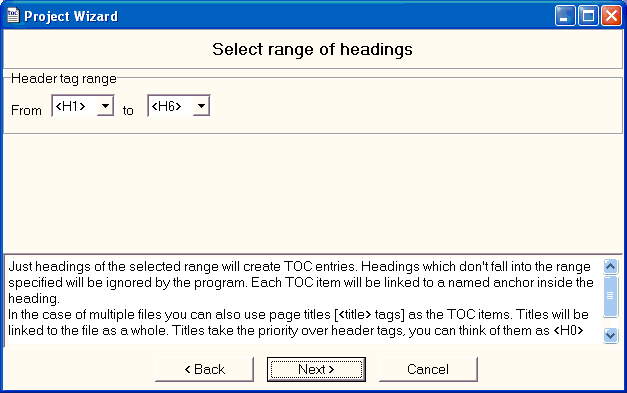 This step is very simple: select the tag range that is used for making TOC. You can specify other format options like if to put the numbering or not, if you need to provide additional attributes into the named anchors generated for headings and the indent. 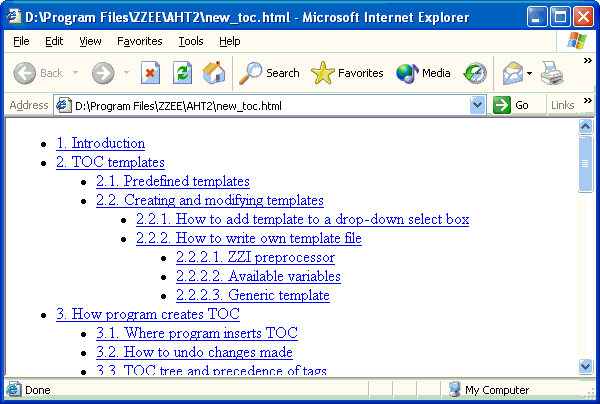 The power of the program is in the templates: you can use one of the predefined templates or can roll your own. When you make the TOC for multiple files, everything is easy too. The main thing is that you need to provide a list of source files. And then provide a file that will hold the TOC. Now let's consider main program's window. Here we see how the source and destination files are managed. Here you set various options. All recent projects are immediately available: you can easily recall them. You can save the project file. And here is the result of the TOC generation. Please don't forget that you can customize virtually anything.